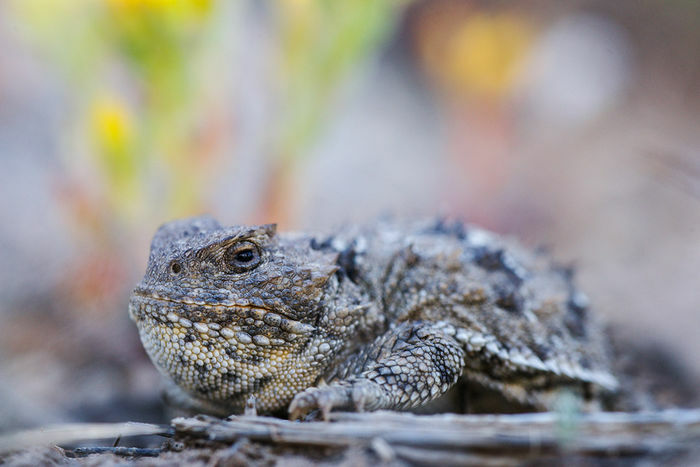 Greater short-horned lizards, also miscalled 'horny toads' are native to the sagebrush ecosystem, living in semi-arid plains to lower mountain elevations. I photographed this female while working with PhD candidate Reilly Dibner from the University of Wyoming in Shirley Basin. Shirley Basin is situated between Casper and Medicine Bow, a wide-open and undeveloped mixed shortgrass prairie and sagebrush basin on BLM land. Although a species of special concern, Wyoming's state reptile seems to be doing well in Shirley Basin. Holy cow! The last few months have been wild, a loose-ends tour of sorts to capture images for the coming Sage Spirit book. I feel like Johnny Cash: I’ve been to Pinedale, Jackson, Craig, Hayden, Montrose, Gunnison, Laramie, Medicine Bow, the Red Desert and places between. I guess I can’t rhyme that like Johnny. Just recently, I’ve photographed sagebrush songbirds on nests, grizzly bears, wildflowers on a ranch under conservation easement, Greater short-horned lizards, and a bunch of other stuff. I think I’m done shooting for the book and a multimedia campaign with a top U.S. publisher will be launched in the summer of 2015. Stayed tuned, and please let your conservationist friends know that partnership opportunities are available – just give me a call. “Elkhead Ranch Paintbrush, Hayden, Colorado” Thanks to rancher Heather Stirling for sharing her magical piece of Colorado! Posted in Sagebrush Sea on June 20, 2014 by Dave Showalter. Wow, Dave, this is quite a set right here, and I imagine you’ve got a lot more! Can’t wait to see the book! Thank you Jackson. We’re getting there and it’s an exciting time after six years. I’ll keep you posted.